If you have spent any tangible time with me outside of work hours, there is a nonzero chance that I have talked to you about my favorite TV show, BoJack Horseman. It is, in my not-so-humble opinion, the funniest show out currently–but that’s not why you should watch it. 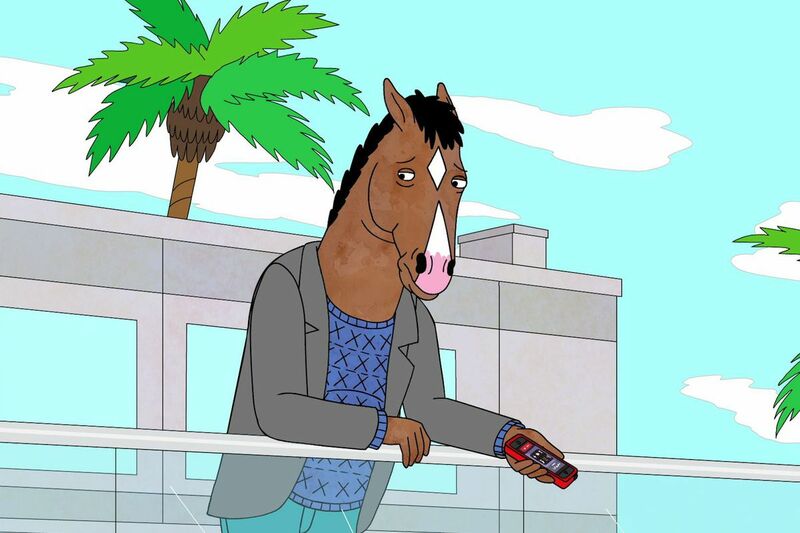 Even more than its perfect mix of surface-level jokes, subtle background wordplay, and slow-burning drawn-out gags, what Bojack Horseman captures that sets it apart from any other show that I have ever watched is its realistic and unapologetic commentary on one man dealing with issues of self-doubt, self-destructive behaviors, addiction, relationship problems with his friends and family, and (what I find most relatable) depression. I would like to present the 4 quotes from BoJack Horseman that I believe accurately present the real-life horrors and daily struggles of an individual dealing with depression. The very first time I heard this quote, the words hit me like a ton of bricks. For so many people struggling with depression, it is so much easier to just say “I’m fine” than it is to say “I’m having a really bad day because…” In this episode, BoJack is telling a story of being on his way to a funeral and not being able to express his emotions for one reason or another, so he just doesn’t, and in doing so, ends up with a free churro. For many people, there is a constant internal struggle between “I need to talk to someone” and “I can’t ever let people know the real me” because to let people know that you are sad or depressed is, in the mind of BoJack, and of many, is to be weak and a failure. In this episode, BoJack has a long overdue argument with his long-time friend and rival, Mr. Peanutbutter (a half-dog, half-man actor with a similar, albeit more successful career than BoJack). Things come to a head when, during the argument, BoJack reveals that after all these years he has always envied Mr. Peanutbutter for seemingly always being happy and having everything. Earlier in the series, BoJack does something that leads Mr. Peanutbutter’s fiancée, Diane, to call off their engagement, which sets off a chain of events that lead to Mr. Peanutbutter, actually, being down on his luck as well. Those with depression and self-esteem issues often find themselves looking at others who they view as being happy and becoming envious or even angry towards them because they may feel as though that individuals’ happiness is natural and effortless when in reality it may not even be there at all. It’s just really hard to need people. This is a quote that resonates very deeply with me. In this episode, BoJack’s agent and on-and-off girlfriend, Princess Carolyn, is struggling with getting older, not having started a family or gotten married, among other issues surrounding a typical midlife crisis. The reason this strikes a chord with me is that I, and so many others, also find it particularly hard to fully rely on another individual, “once bitten, twice shy” as they say. In the show, Princess Carolyn is a control freak to a fault; she always needs to be 100% in control. She soon finds out that there are certain things that are just completely out of her control, and she struggles to accept this fact. To need someone else’s help is to be a failure in her mind. It gets easier. Every day, it gets a little earlier. But you have to do it every day. That’s the hard part. But it does get easier.